If your young athlete competes at a high level, you’ve probably heard coaches singing the praises of their programs. There’s prestige and status, and something more: This could be the fast track to turning pro! It’s a thrilling thought. Play with this team, the coach assures you, and your young athlete is headed for the top ranks of professional sports. There’s only one problem with this picture: It’s a team of nine year olds. When next week comes, the coach will select talent from a group of kids who haven’t even started their growth spurts. Or put a little more delicately, it can’t be done reliably. 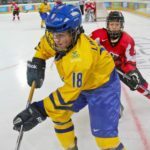 As talent development programs around the world show, it’s impossible to even start predicting future talent until kids are in their teens, usually between 14 and 20 years. Yes, Gretzky emerged early in hockey. So did Lionel Messi in soccer. But they are the exceptions. There are many more superstars who emerged only later, often after being cut from select teams and junior development programs as kids. Soccer and basketball feature regular examples of professionals who were cut from youth teams because they were too small, too slow, or unskilled. (Owen Hargreaves, the Canadian-born soccer player who ended up playing for England, is a good example.) But they stuck with their sport, and later they were fortunate enough to be discovered. Most of these late bloomers were cut in their teens. It should therefore beg the question: If we can’t reliably identify long-term talent among teenagers, how can we predict talent among a group of nine year olds? When identifying a young athlete’s talent, the biggest challenge relates to relative age and developmental age. If your young athlete happens to have a younger relative or developmental age than his or her peers, he or she may look less skilled than others simply because he or she is less strong, less fast, and less athletic at this age. In reality, your young athlete could very well have the potential to become the greatest ever. But you might never find out. Because if he or she gets cut at age nine, and subsequently placed in a poor program, he or she will miss the most important years of development. Or your young athlete might drop out of the sport altogether. The pitfalls of early talent identification can be remedied with a talent development approach. Rather than trying to select talent at age eight, nine and 10 years of age, the ideal sports program will provide excellent coaching and equal playing time for all young athletes and see where they land later. In soccer, for example, top development countries such as Germany and the Netherlands only start to select talent pools around age 11. And they don’t slam the door on the rest of the kids. They still provide opportunities for young athletes to play, improve and be seen later. Select teams can and should be part of the development process in youth sports. The question is: When? In most sports, talent identification starts to make sense as kids enter their teens and begin to mature physically, emotionally and socially. It’s also an appropriate way for young athletes with high potential and desire to compete to start to experience increased challenges in competition. You don’t want to cut a future star before they’ve had time to shine, nor do you want to drive a young athlete out of a sport because they didn’t make the grade at age nine. Otherwise, you’re not only selling the kid short—you’re potentially depriving the game of a future superstar.